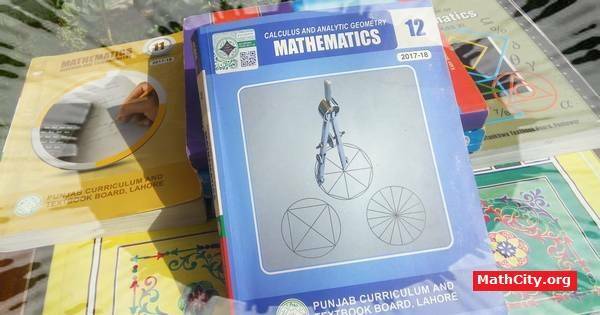 Calculus and Analytic Geometry, MATHEMATICS 12 (Mathematics FSc Part 2 or HSSC-II), Punjab Textbook Board (PTB) Lahore, Pakistan. There are total seven (7) units in this book. One this page we have posted Notes (Solutions), MCQs, short question, sample papers and old papers related to this subject. This book has wide scope and it is part of syllabus of Mathematics in FSc from all board (Board of Intermediate and Secondary Educations (BISE)) of Punjab and Federal Board of Intermediate and Secondary Education (FBISE), Islamabad. Our main aim is to help the students and teachers by providing all the things or resources related to this book so that students can prepare their mathematics paper to get good marks and teachers can get benefits to teach their students. Lot of people (students and teachers) help us to manage this page by providing resources which are necessary to prepare this subject. We are very thankful to them.